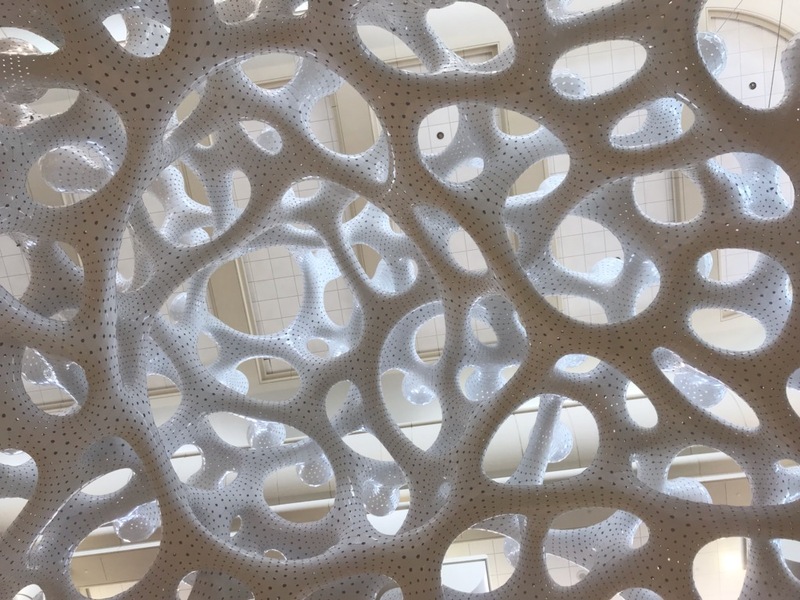 Narrowing the takeaways from our week at HiMSS19 in Orlando, Florida, to one word was surprisingly easy: connectedness. 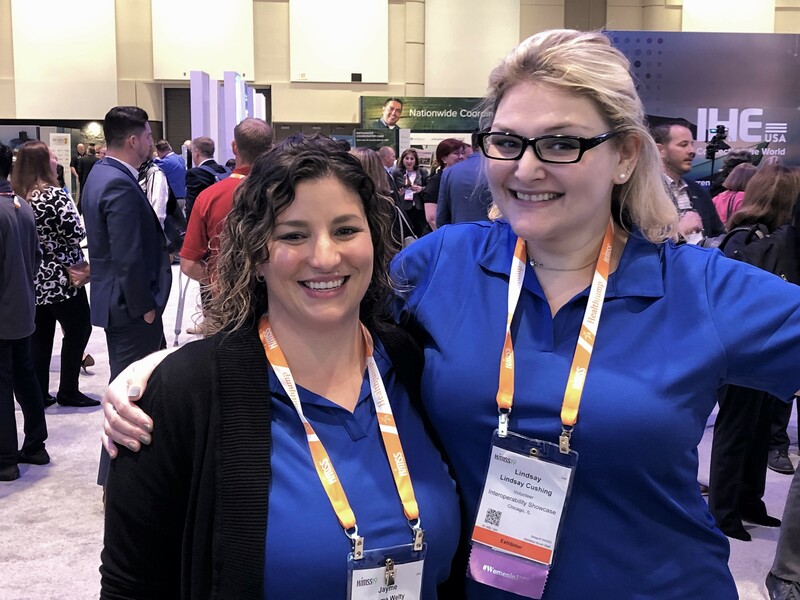 Overall, Team BZ – our affiliated subject-matter experts, business development, program management and marketing – all felt more connected to the broad community through our attendance, conference sponsorship, and engagement as a HiMSS gold corporate member. 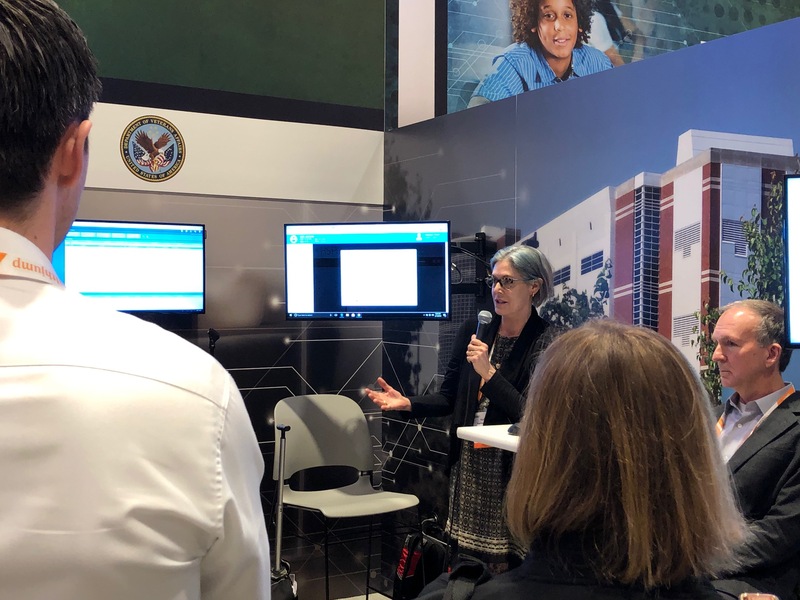 Dave Carlson and Kathleen Connor – BookZurman-affiliated subject-matter experts at the conference on behalf of the Veterans Administration – shone in their parts of the highly trafficked Interoperability Showcase. Dave and Kathleen worked together in the Consumer-Centered Care Planning scenario, which demonstrated how meaningful interoperability connects disparate care teams around a patient. Kathleen was also the primary subject-matter expert at the VA’s Security kiosk. 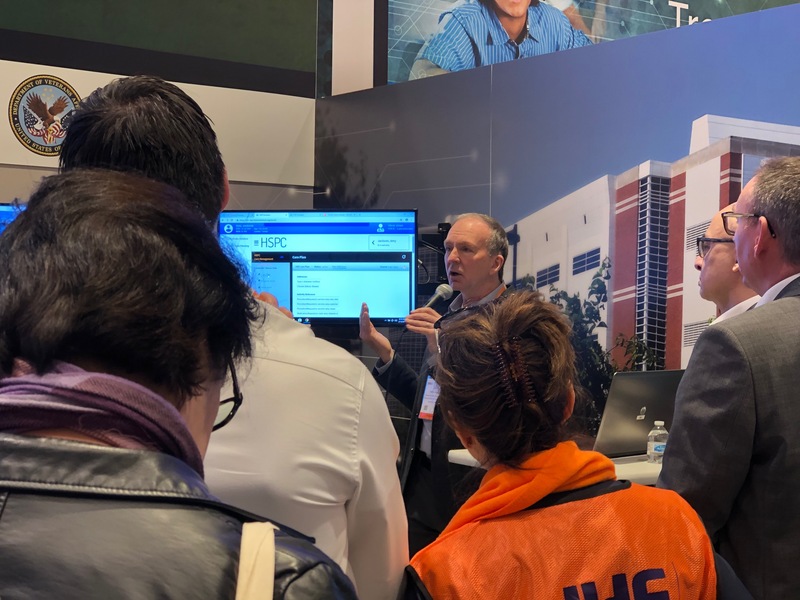 Three BZ team members volunteered for HiMSS in the Interoperability Showcase, demonstrating our commitment to the organization as well as our support for the BZ-affiliated experts who presented there. Meanwhile, BZ-affiliated experts Ioana Singureanu and Keith Salzman, MD, enjoyed meeting with past and present colleagues and peers. Networking with contractors and vendors provided them with many opportunities to connect the dots on projects – as did meeting those who have historic insight on specific projects – to support further effectiveness on current work. Additionally, Ioana attended the on-site board meeting for Integrating the Healthcare Enterprise (IHE) USA, an organization working to improve the quality, value and safety of healthcare by enabling rapid, scalable and secure access to health information at the point of care. Our meeting pod in the successful new HiMSS Learning Lounge allowed us to spend meaningful time with friends old and new outside the din of the main exhibit hall. (There were so many cool things to experience but quiet-time breaks were refreshing!) President Brian Book and Gayle Grasso, director of business development, connected and reconnected with – among others – peers at JP Systems, Hat Solutions and Initiate Government Solutions. Some terrific connections also happened outside the Orange County Convention Center: having dinner with longtime collaborators at Deloitte; some of our marketing team attending the 10th Annual New Media Meetup and linking with new friends at Agency Ten22, Healthcare Scene and Voalte. All of the events were about connecting with other champions of health who will help the healthcare IT community meet its goal of providing seamless patient-centric care. We look forward to seeing all the advances made between now and HiMSS20! Between now and then, we hope you'll sign up to receive our weekly Healthcare Interoperability Round-up to stay connected.